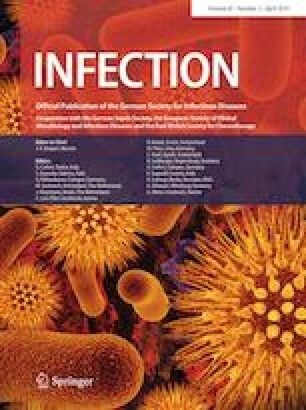 The aim of the study was to assess guideline adherence to combined antiretroviral therapy (ART) in the German ClinSurv HIV Cohort and the real-life impact of the Strategic Timing of Antiretroviral Therapy (START) study, to identify patients not treated as recommended by new guidelines. We used data from the multicenter ClinSurv cohort of the Robert-Koch-Institute (RKI) between 1999 and 2016. Inclusion criteria were people living with HIV/AIDS, ≥ 18 years of age and cART naïve at the first visit (FV). Adherence was defined as starting cART within 6 months of crossing the CD4+ T cell threshold as suggested by the German-Austrian treatment guidelines. Logistic regression was used to identify factors associated with non-adherence. 11,817 patients met the inclusion criteria. We observed an overall adherence rate of 60%, in patients with treatment indication who started cART timely between 2002 and 2015. Adherence rate increased constantly, demonstrating a potential increase in patients, with treatment indication, starting cART within 6 months of presentation from 55% in 2008 to 94% in 2015. Patients reporting injection drug use (OR 2.18, 95% CI 1.70–2.95) and patients between 18 years and 39 years of age at the time of their first visit (OR 2.89, 95% CI 1.35–6.18) were identified as risk groups associated with non-adherence. The majority of patients below the CD4+ T cell count threshold of applicable guidelines initiated treatment within 6 months. We observed a slowly diminishing proportion of patients not starting cART timely. Delayed treatment was more frequent in patients reporting injection drug use. The online version of this article ( https://doi.org/10.1007/s15010-018-1248-8) contains supplementary material, which is available to authorized users. A correction to this article is available online at https://doi.org/10.1007/s15010-019-01281-x. This study was funded by the German Center for Infection Research. Initial results of this study were presented at the ‘21st International Workshop on HIV and Hepatitis Observational Databases’ in Lisbon, Portugal 2016, Abstract no: 109. JV and MS designed the study, analyzed and interpreted the data. MS drafted the primary draft of the manuscript. BG, CK and DS provided data, and contributed critically important ideas on how to interpret the data. PS, BG, CK, DS, MP, CL and GF revised the manuscript critically for important intellectual content. All authors approved the final version of the manuscript. This study is a project within the TP-HIV by the German Centre for Infection Research (DZIF) (NCT02149004). We declare that all authors have no conflicts of interest. UNAIDS. Fact sheet—latest statistics on the status of the AIDS epidemic. http://www.unaids.org/sites/default/files/media_asset/UNAIDS_FactSheet_en.pdf. Accessed Feb 2018. Panel on Antiretroviral Guidelines for Adults and Adolescents. US-Guidelines for the use of antiretroviral agents in HIV-1-infected adults and adolescents. Department of Health and Human Services. https://aidsinfo.nih.gov/contentfiles/lvguidelines/adultandadolescentgl.pdf. Accessed January 2018. Waters L, Ahmed N, Angus B, et al. BHIVA guidelines for the treatment of HIV-1-positive adults with antiretroviral therapy 2015 (2016 interim update). http://www.bhiva.org/documents/Guidelines/Treatment/2016/treatment-guidelines-2016-interim-update.pdf. Accessed Oct 2017. EACS. European Guidelines for treatment of HIV-positive adults in Europe 8.0. http://www.eacsociety.org/files/guidelines_8.0-english-revised_20160610.pdf. Accessed Oct 017. Deutsche AIDS-Gesellschaft, Österreichische. AIDS-Gesellschaft. Deutsch -Österreichische Leitlinien zur antiretroviralen Therapie der HIV-Infektion. http://www.daignet.de/site-content/hiv-therapie/leitlinien-1. Accessed Oct 2017. Robert-Koch-Institut. Epidemiologisches Bulletin 45, page 476–483. http://www.rki.de/DE/Content/Infekt/EpidBull/Archiv/2015/Ausgaben/45_15.pdf?__blob=publicationFile. Accessed Jun 2017.